Imagine for a minute taking just $10,000 today... and turning it into $415,500 by this time next year. I know that sounds crazy, but I’m going to show you exactly how to hit that target. Moreover, I GUARANTEE it’s easily within your grasp if you follow my lead. You see, I’ve created a market indicator that’s helped me achieve award-winning success during my near-10-year tenure at The Oxford Club. It’s predicted market-shattering returns and can help make my readers extremely rich. And it’s the single greatest stock predictor you’ll ever see. Today, I’m going to discuss the one stock it’s just pinpointed... with one of the best V Scores in history. It’s essentially a perfect score – something even I, the creator of this indicator, have rarely seen. 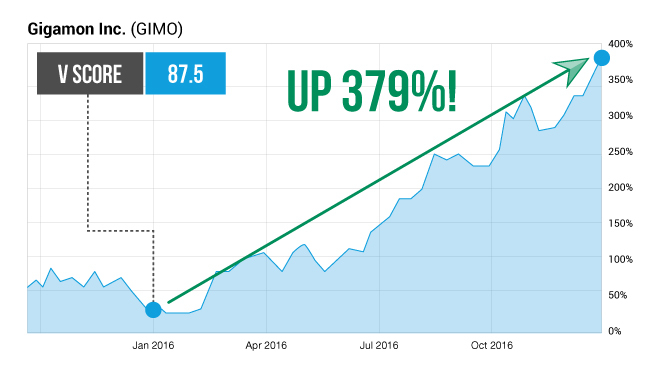 And I believe it’s set up to deliver a 4,055% gain in the year ahead. I don’t make that claim lightly. It would be the biggest gain in the 28-year history of our organization. Because I’ve already set the record for the biggest gain at The Oxford Club on two separate occasions. First, there was my 1,889% winner in 2013. And then there was my 2,733% home run in 2015. And, thanks to the most remarkable V Score I’ve ever witnessed, we are about to break the record again in the year ahead. I’ll show you how I calculate the V Score in just a moment. And the closer it is to zero... the more likely the stock is tumbling toward a crash. Just look at some of the V Scores I’ve found according to our historical back tests. Like Chimera Investment Group, for example. It would have had a 76.3 V Score on March 28, 2016. Its V Score that day marked the start of a steady climb for Chimera. It went up 59% in a year. Then there’s TriNet Group, which had an 84.1 V Score. 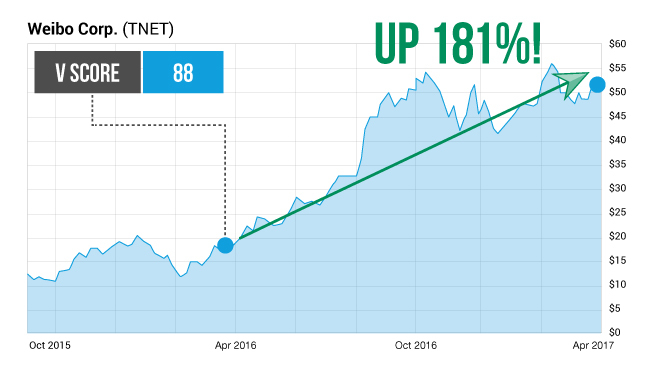 It shot up 112% over the next year. But once you start seeing V Scores in the 90s, then you’re really cookin’. 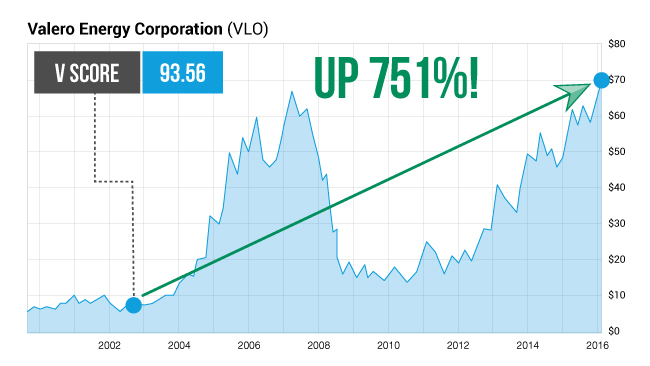 Though it’s rare to see stocks with V Scores this high. Its V Score would’ve been a stellar 90.91. 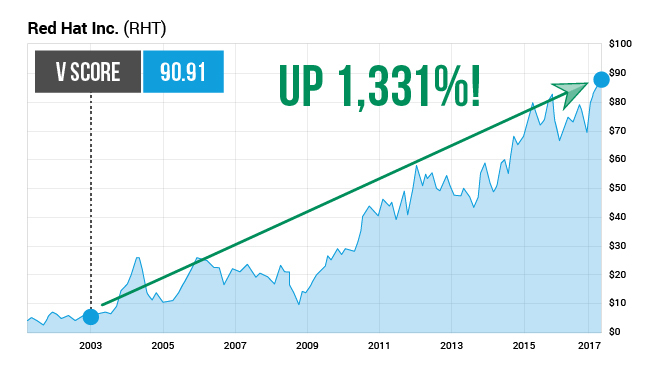 You could have collected 1,331% gains over time! Gilead had an even more impressive 91.52 V Score. My V Score strategy could have handed you 2,144% gains over time. I’ve just uncovered a stock with a V Score as close to a perfect 100 as I’ve ever seen. And my analysis shows it could hand you as much as a 4,055% gain. And that’s why I’m speaking with you today. As I mentioned, I’ve set two Oxford Club records for the biggest wins in company history. The first was a 1,889% gain on Boston Beer... enough to turn $10,000 into $198,900. 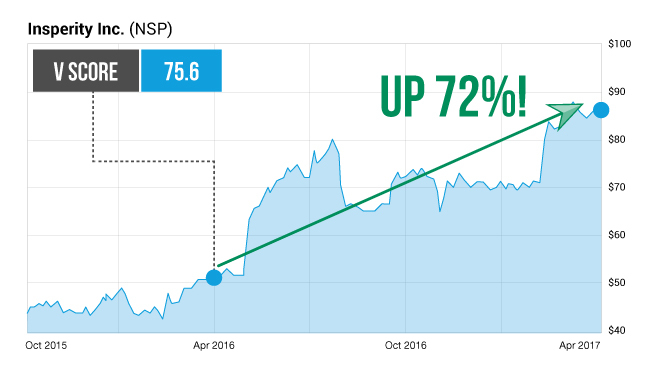 The second, just a year later, was a 2,733% gain on Columbia Sportswear... enough to turn $10,000 into $283,300. 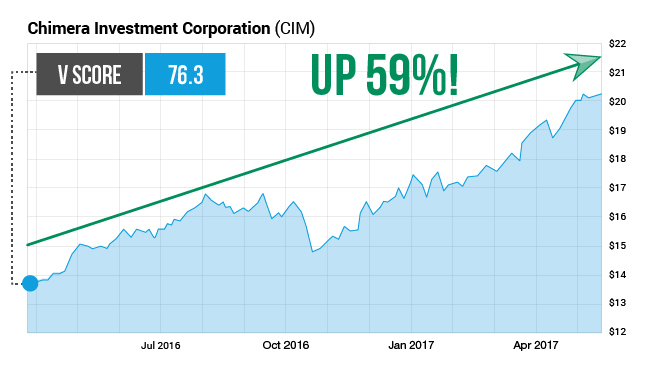 Now, to put it in perspective... when looking back at these extraordinary gains, I found those two companies would’ve had V Scores of 95.3 and 95.4, respectively. Based on its remarkable 99.39 V Score, I project it to leap 4,055% by this time next year. Enough to turn $10K into $415,500. You’ll find out today how YOU can come along for the ride. Out of the 3,812 publicly traded companies on the NYSE and Nasdaq, this company has by far the best V Score I’ve seen. And this isn’t some risky over-the-counter penny stock. 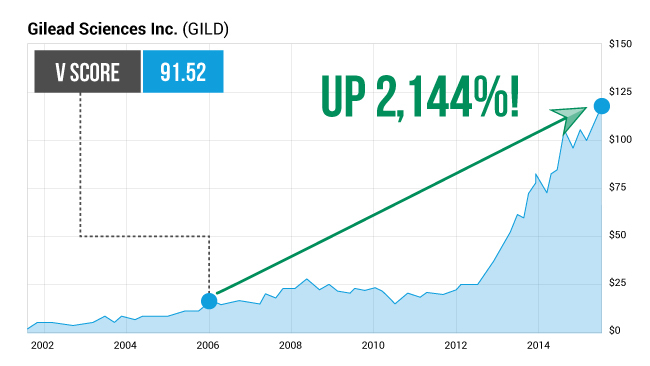 This is a safe profit-churning company with a LOT of room to explode higher. Its whopping 99.39 V Score is the closest to a perfect 100 in existence. I’ve been waiting for a moment like this my entire career. And laying out how it could hand you a stunning 4,055% return by this time next year. As the Emerging Trends Strategist at The Oxford Club, I specialize in identifying the biggest, most profitable market trends before they happen. My modern approach to investing is the exact opposite of Wall Street’s... where they’ve been doing the same old stuff for 100 years. It justifies their jobs. But it’s a load of bull. And the mainstream media can’t get it right either. Those pay 0.2% on average! That’s no way to get ahead. Rather, I’ve found a proven, precise way for you to beat the market and do it by a wide margin. My readers would back me up. “Your recommendations have done very well for me,”he said. 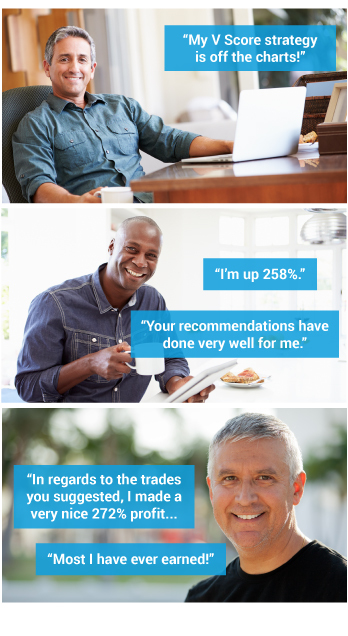 “In regards to the trades you suggested, I made a very nice 272% profit,” said James Cardon of Richmond, Virginia. You see, it’s entirely possible to not only beat, but destroy the big indexes. In up... down... even sideways market conditions. We’re able to do it thanks to my V Score... perhaps the most successful trading strategy you’ll ever see. It’s really simple and easy to follow. A V Score of 100 is perfect. A V Score of 0 is garbage. You NEVER want to be holding any stocks with a low V Score. For example, look at First Solar. 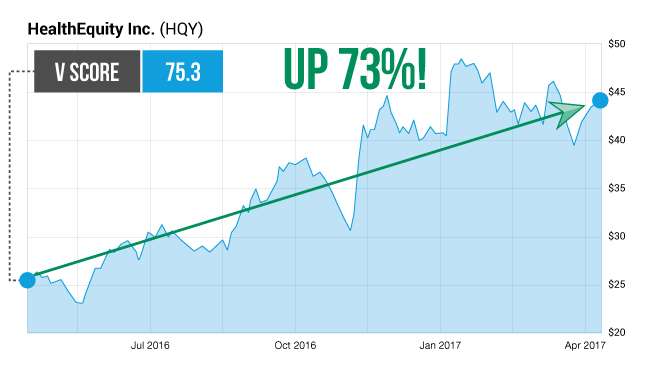 In March 2016, it set a 52-week high, trading for nearly $72 a share. Investors were piling in and getting greedy, and it’s no wonder why. But looking back, First Solar’s V Score would’ve been a measly 35.3. I’d be screaming at investors to run for the hills! That’s because I ignore any stocks whose V Scores are under 70. And I actively run away from any under a 50. 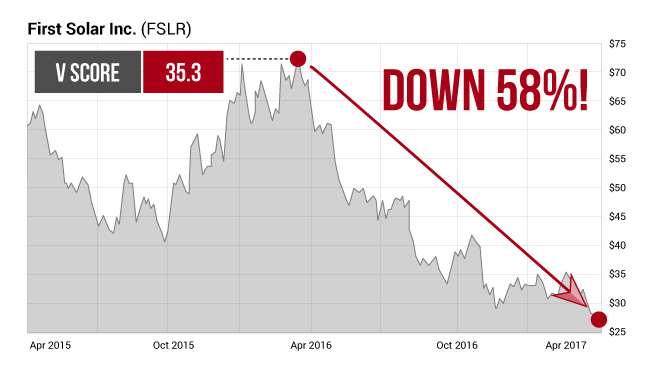 So what happened after First Solar scored a 35.3 in late March 2016? It dropped 58% over the next 13 months. On a $100,000 investment, you’d have lost $58,000. The media, as well as Goldman Sachs, couldn’t have been more wrong. And First Solar’s largest shareholder, Lukas Walton, could have saved himself an estimated $647 MILLION LOSS... had he known about the power of my V Score. Now look at a good stock like Weibo Corporation. Why do I call it a good stock? 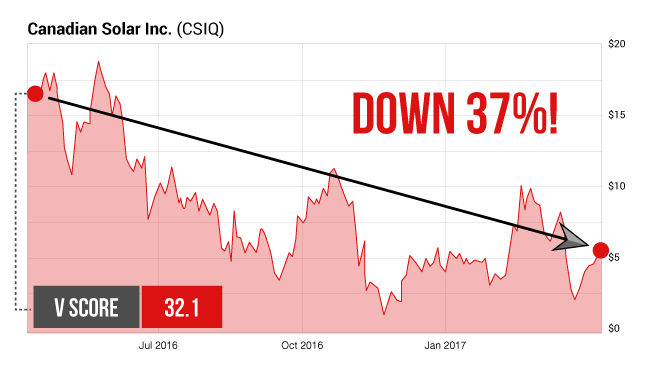 For one, it had great fundamentals... but how many times have you seen a stock with everything going for it... and then it STILL went down? Its V Score of 88 on March 30, 2016, was all I would’ve needed to know about Weibo. 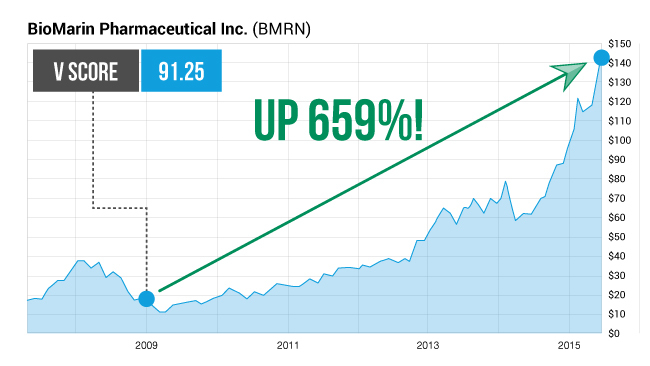 Now look at BioMarin Pharmaceutical. Its V Score was once a stellar 91.25. You could have collected 659% gains over time! Like WellCare Health Plans Inc. It once had a 92.6 V Score. And it would have produced 922% gains today! It once boasted a 92.36 V Score. 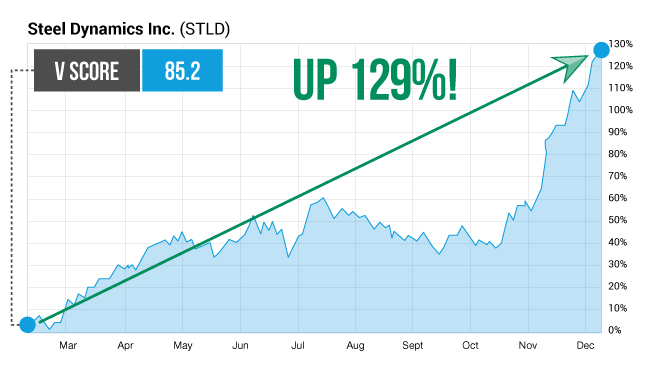 Its stock went on a rocket ride up 1,941%! Of course, past performance isn’t indicative of future success... but when you see the potential windfalls my V Score can find, you find there’s no denying its power. You’d have $370,300 in PROFIT today. 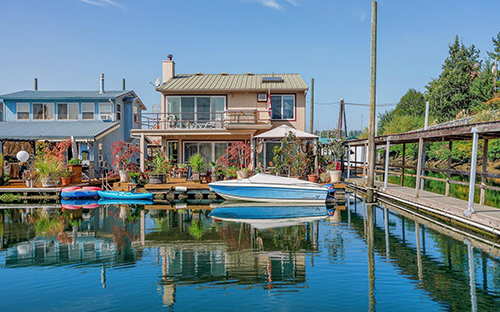 Now imagine walking into a real estate office and pointing to a listing of this beautiful waterfront home on the Columbia River that divides Portland, Oregon, and Vancouver, Washington. Or perhaps you’ve got your heart set on traveling. Or maybe you’ve made it a lifelong goal to set up education funds for your kids or grandkids. You could accomplish it in no time. That’s just a taste of what you could expect from the power of my V Score. Forget all the stomach-churning worry over picking stocks. Just find a company with a great V Score and sleep easy knowing its stock is set to rocket higher in the weeks ahead. But find a stock with a bad score, and you know you shouldn’t touch it with a 10-foot pole. 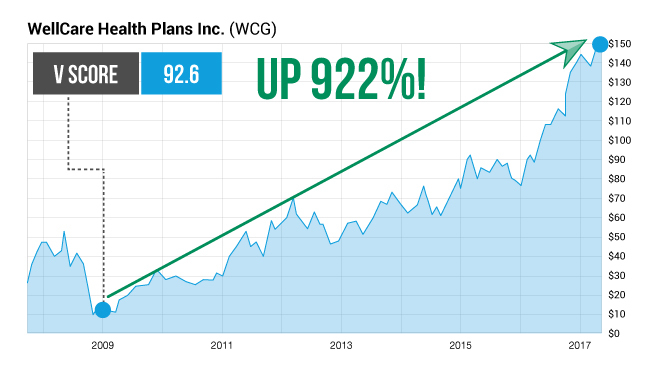 Today, I’ll unveil the one company that just reached one of the best V Scores I’ve ever seen in all my years in the markets – a massive 99.39. My estimates show it’s poised to jump 41-FOLD in the year ahead. That’s big enough to turn $10,000 into $415,500! We could all stamp our names in The Oxford Club record books. But to capture the biggest gains, you’ll need to act fast. In fact, I wouldn’t wait a minute after fully viewing this presentation. That’s because my V Score alerts me to a stock’s movement 24 hours in advance. Do NOT miss out by being late. I’ll show you how you can get in on this potential 41-bagger in just a moment. 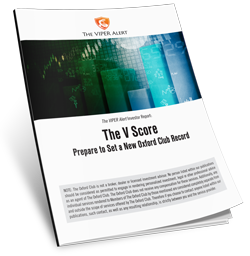 But first, let me share with you how I created my V Score strategy. I must admit, I’m not the first to use a mathematical formula to identify winning stocks. The roots of my work began with a brilliant Stanford Ph.D. accountant. His name is Dr. Joseph Piotroski. The reclusive Dr. Piotroski was one of the first to realize that with the right mathematical formula, you could beat the market quite easily. Piotroski’s strategy managed to beat the broad markets handily. On an annual basis, the average returns of Dr. Piotroski’s formula came out to 23%. That’s nearly triple what the S&P 500 delivers yearly. And between 1976 and 1996, with his formula, $10,000 could have turned into an estimated $628,206. Returns that BIG put him up there with Buffett, Lynch and many other greats. And I have to admit, seeing the effectiveness of this formula had a major impact on my life and career. Dr. Piotroski proved once and for all that if you create the right formula, you can beat the markets... and by a pretty wide margin. One that would tell me the potential growth of a stock. 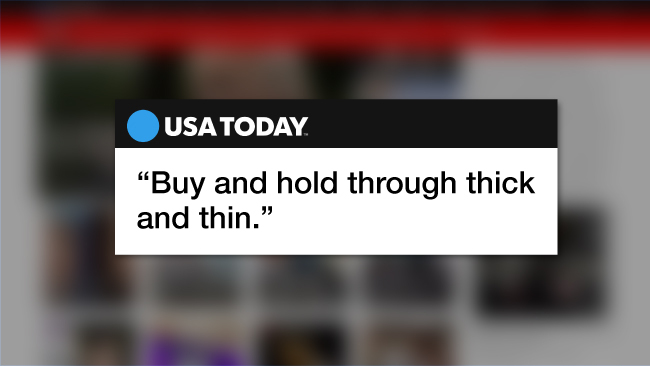 One that would pinpoint the exact day to buy a stock. And one that would also protect me in a bear market. And I had just gotten married as all hell was breaking loose in the markets. Yet I was determined my new bride and I would start our marriage together on solid financial footing. I was just setting up the foundation of my V Score system. No matter how hard I searched, I wasn’t seeing many good opportunities anywhere. Which meant... there weren’t many companies to invest in. So I took a cautious approach while $10.8 trillion in U.S. wealth started disappearing from the markets. But by late December 2008, as the Great Recession approached a bottom, historical back tests proved there were a lot more attractive V Scores climbing back into the 90s. Its V Score would’ve been 90.7 on December 31, 2008. Not too long after that, I bought in. 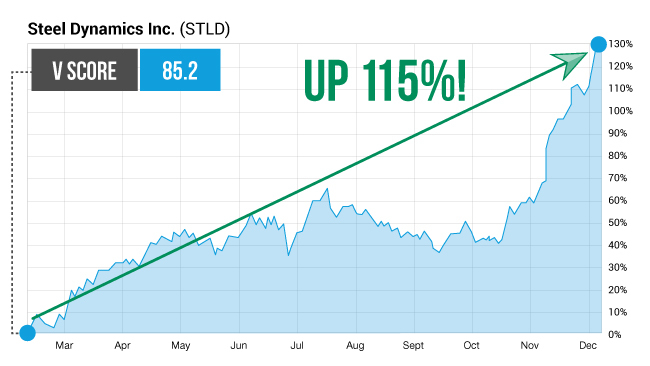 The stock went from $1.04 at its low to a high of $9.11 over the next couple of years. 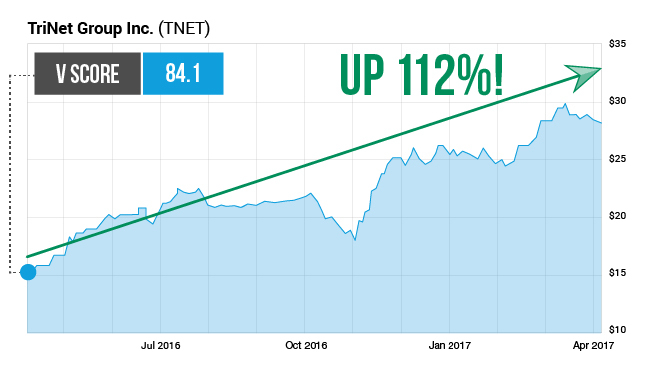 That’s a 776% gain in 23 months. Then there was Las Vegas Sands. Its V Score was 92.8. back on December 31, 2008. To me, that was a clear sign the market was turning around. Again, I bought in soon after. 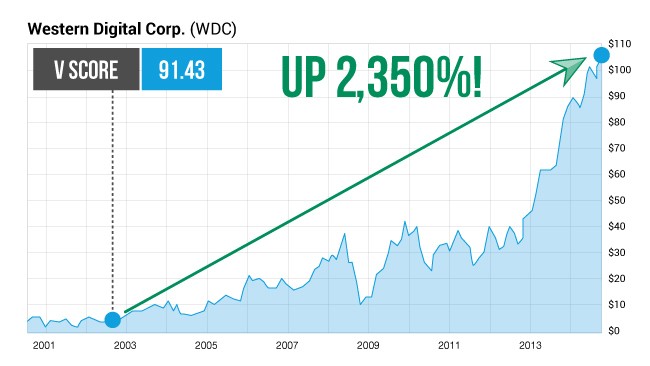 And it maxed out for 3,930% gains in five years! I knew I had to share it with as many people as I could. Now, I know this looks confusing. To put it as simply as I can... the V Score tells me first the maximum amount of profit potential a stock has. And second, when it’s likely to begin moving upward. It separates the best companies from the worst. 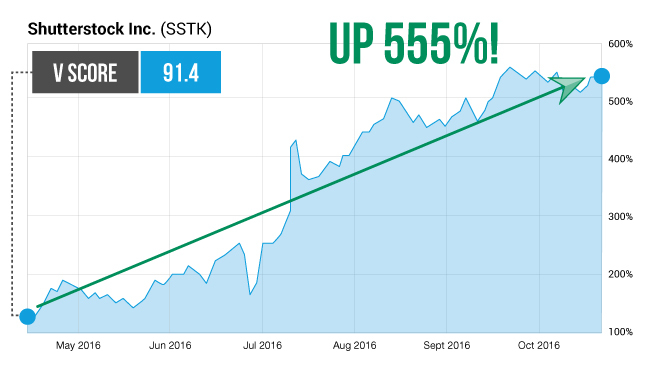 The higher the V Score, the higher the stock will soar. Take Insperity Inc. for example. 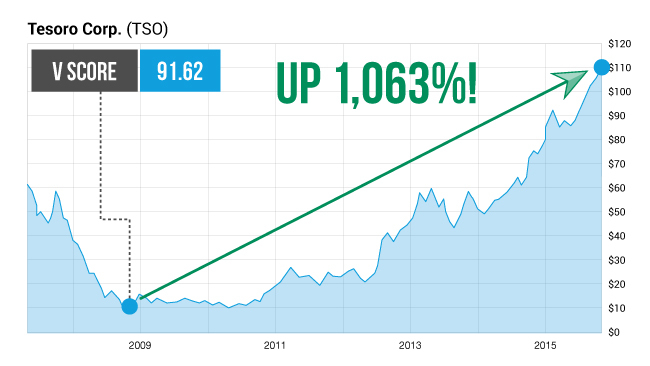 Here’s what happened to Insperity’s stock. Now, most people would love to get that sort of return in a single year. But I’m constantly searching for bigger ones. Like CEVA Inc., which had an even better 83.6 V Score. Steel Dynamics had an 85.2 V Score on February 10, 2016. V Scores in the 90s get my mouth watering. It once had a 91.62 V Score. It would have delivered you 1,063% gains over the following few years. And before then, Western Digital would have had a 91.43 V Score. 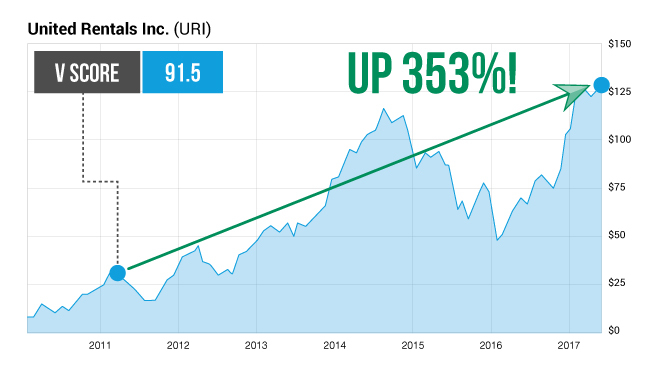 You could have bought that stock for 2,350% gains over time. Those are just five historical examples of good to great V Scores, which could have handed you 3,701% total gains. $10K into each play could have handed you a $370,100 profit! You see... My V Score strategy is designed to give you the chance to experience a string of triple- and potentially quadruple-digit winners. It’s a nearly perfect 99.39! Using my strategy could hand you the chance to collect 4,055% gains in the year ahead. The best part is, using the V Score to your advantage doesn’t require much investing experience. Anyone with a laptop and internet access can benefit from it. You don’t need in-depth knowledge of how the economy works. 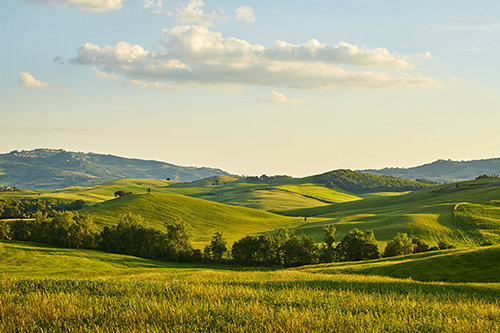 You don’t need to worry about what direction the market is heading next. The V Score does all the heavy lifting for you. Like it could’ve done for PDF Solutions. Back-tests show, it had an OK 75.2 V Score on March 31, 2016 . 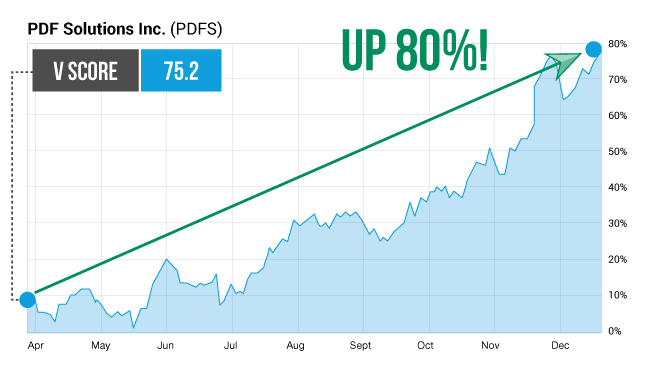 It shot up 80% in nine months. It had an 80.7 V Score. And EOG Resources would have once had an awesome 93.46 V Score. And over time, it took off for 1,130% gains! You see, my V Score is so accurate... and so successful... that I’ve made it the foundation of strategical approach... what I call my VIPER Alert system. I think you’re starting to see why the V Score serves as an integral part of my overall approach to stocks. It tells me when to get in – 24 hours in advance – and it tells me how much profit to expect. But my overall strategy is more than that. In order to maximize the potential profit, before I even run them through the V Score process... I use an in-depth system to hand-select the very best stocks to target. Let me give you a peek under the hood of my VIPER Alert system. It scans all 3,812 publicly traded stocks every single day... searching for the best stocks that fit five crucial metrics. 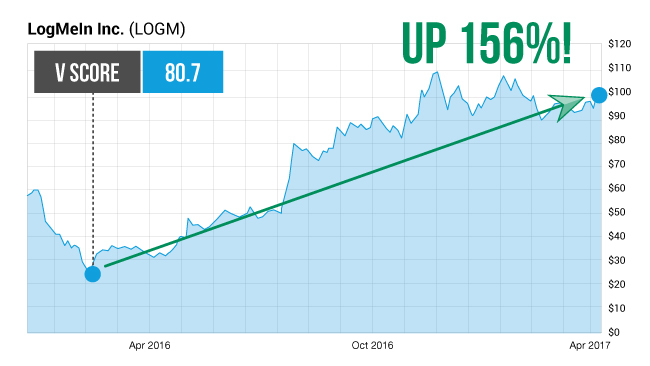 Value: Are shares priced below their 52-week highs? Income: Is it rising at least 25% per year? Profit: Are future profits expected to be 25% higher than current profits? 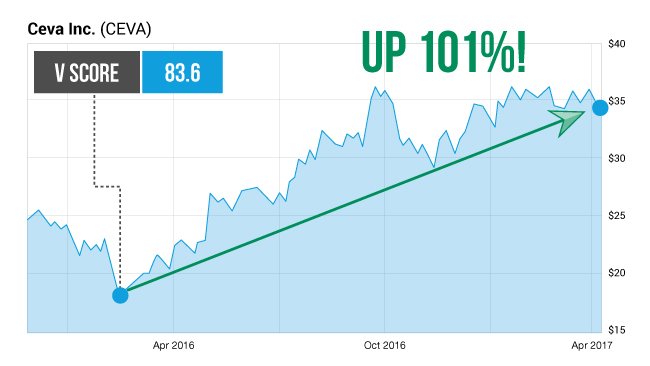 Earnings: Is EPS growth for the current year more than 25%? Revenue Growth: Has it grown 25% or more year over year? Will I then measure the company by using my proprietary V Score. If a V Score is below 70, you can bet we’ll stay away. If it scores in the 70s or 80s, I’m likely to recommend it. If it’s above 90, you can be darned sure you’ll hear from me ASAP. And I certainly don’t want any losers. That’s why I only target companies with very high scores. I must say, my VIPER Alert system has been an extremely successful approach. 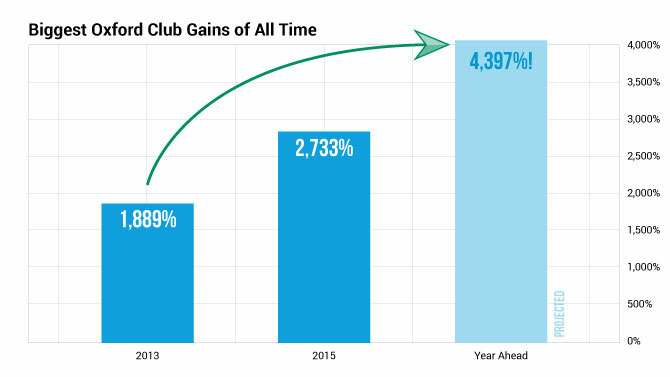 Returning gains of 236%... 324%... 379%... and an exceptional 555% last year. And found this approach dominated the S&P 500 performance 935% to 240%. Had you started with $100,000 in 2009 and invested in the S&P, you’d have $340,000 today. Not bad. But had you been able to invest $100,000 using my strategy in 2009, you’d have more than $1 MILLION today! And Shutterstock roared for exceptional 555% gains. $10,000 in each could have delivered $101,300 in pure profit! But my V Score system does more than just deliver breakout gains. It also helps you avoid disaster stocks. Helix Energy Solutions Inc. was a real doozy. 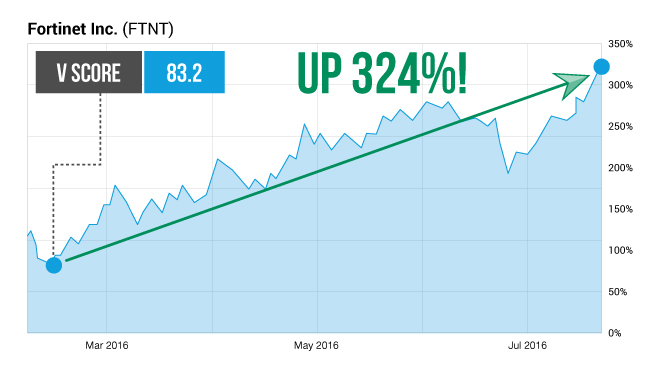 In April 2015, it was trading for $15 a share and the financial news media was pumping it up. 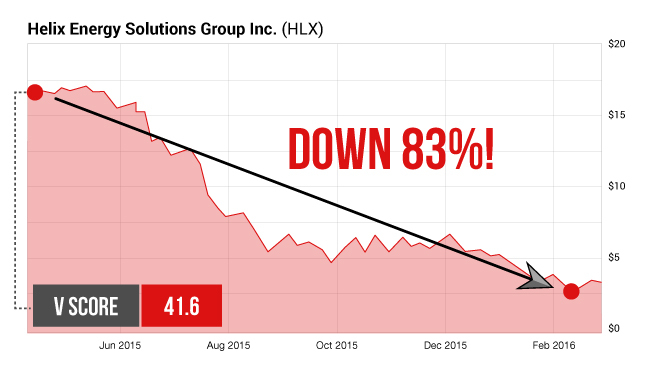 It featured Helix as the “one winner” whose insider bought $1 million worth of shares in the month prior. It can be hard to read hypey articles like that and not want to buy! But that prediction couldn’t have been more WRONG. All you would’ve needed to do was see Helix’s measly 41.6 V Score at the time to know that! Remember, companies with a V Score closer to ZERO are almost always destined to fail. In fact, it dropped 83% within just a few months! You would have lost $83,000 on a $100,000 investment. Avoiding crushing losses like this is critical for safeguarding the money you’ve worked so hard to build up in your portfolio. And these ticking time bombs are all over the market. For example, Canadian Solar recently had a V Score of 32.1 last year. 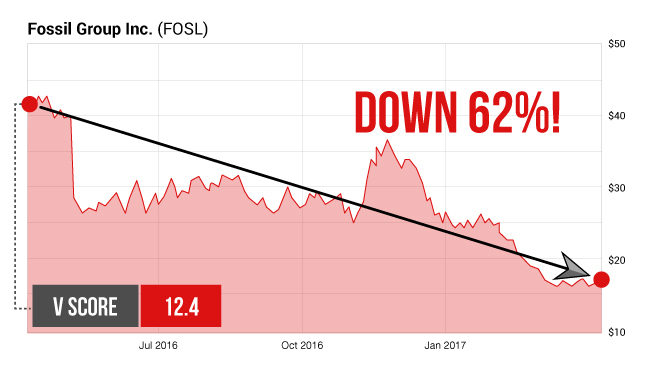 And Fossil Group Inc. had a terrible 12.4 V Score on April 22, 2016. This is one of the reasons my V Score is so helpful. United Rentals once had a 91.5 V Score. Valero had an awesome 93.56 V Score. 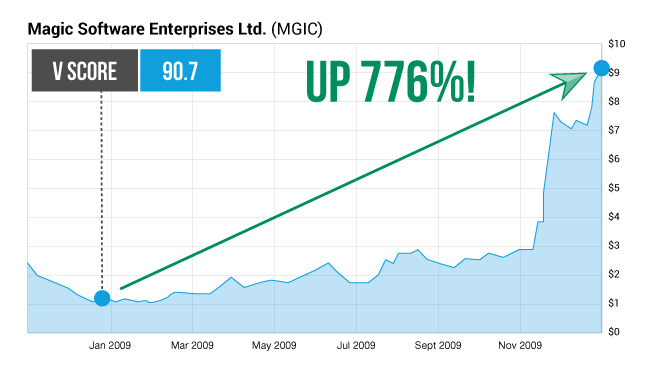 It rocketed an amazing 751%. And then there was Celgene. It had a fantastic 93.75 V Score. 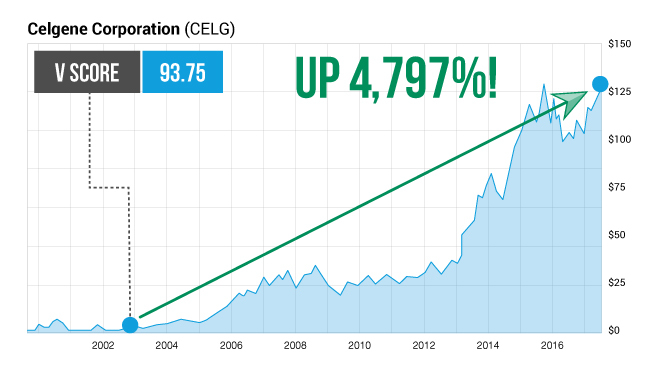 Its stock shot up an epic 4,797%! Enough to turn $10,000 into nearly a HALF-MILLION-DOLLAR PROFIT! But with the way V Scores continue to play out, you can’t deny the explosive profit potential. 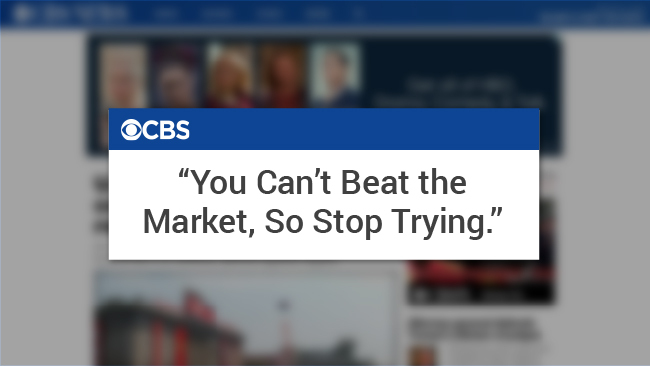 They’re using the same old buy and sell ratings that tell investors NOTHING. So by going outside the box, I was able to create a new formula that accurately pinpoints big movements in stocks... a full 24 hours in advance. And because I followed my V Score, I’m now on the verge of setting a third record here at the Club. Let’s examine this future record-breaker. What Will You Do With a 4,055% Winner? The company I’ve got in my crosshairs is a wildly successful insurance company with a $697 million market cap. It fits all of my VIPER criteria. 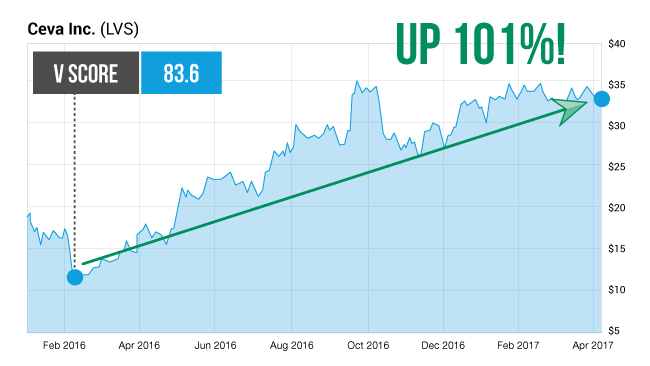 Value: Are shares priced below their 52-week highs? YES! Income: Is it rising at least 25% per year? YES! Profit: Are future profits expected to be 25% higher than current profits? YES! Earnings: Is EPS growth for the current year more than 25%? YES! Revenue Growth: Has it grown 25% or more year over year? YES! I get excited when a company can answer a resounding “YES” to all five of my VIPER questions. But it’s this company’s V Score that has me on cloud nine. That’ll go down as one of the best of all time! My calculations show a special play on this company is projected for 4,055% gains starting as soon as within the next 24 hours. I do NOT want you to miss out. I have a full report that I can send to you the minute this presentation ends. 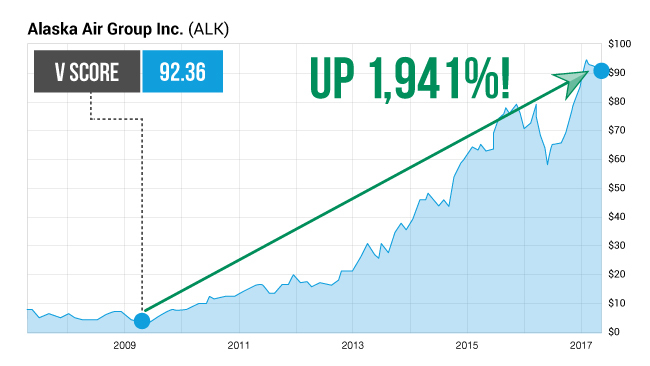 You’ll get access to the company’s name and ticker symbol, as well as every critical piece of information about this record-setting opportunity. I’m happy to get it to you as soon as possible. 4,055% Is Just a Taste of What’s to Come... 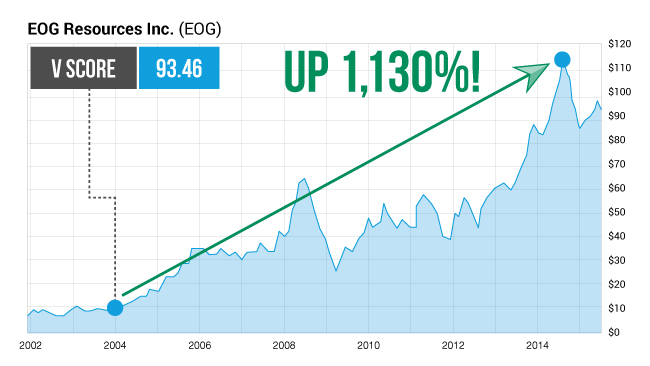 There are Potential Extra 820% and 1,400% Gains for You Too! My projections show a potential820% gain on a special play in the year ahead. My calculations show a massive 1,400% gain on a special play in the year ahead. Then you’d be looking at 6,275% total gains! That’s enough to turn $10K in each into $627,500 in profit! Which I can do immediately following this presentation. You really could make that much money. And an extraordinary 555% on Shutterstock! Let me repeat... I recommended every single one of those companies with exceptional V Scores. That’s nearly a quarter of a million dollars. 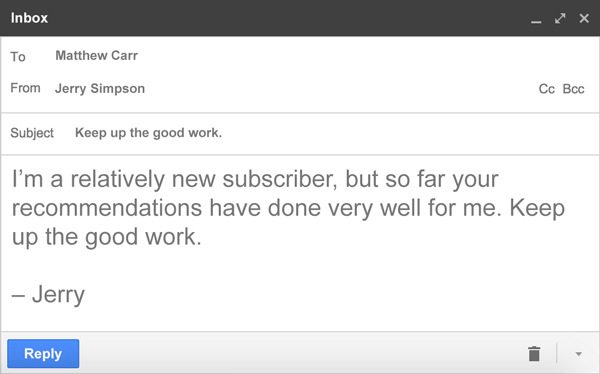 It’s notes like these that make it all worthwhile. 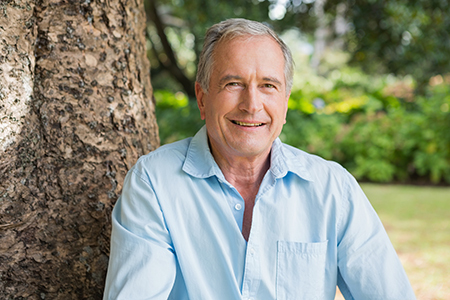 And today, I’d like to share my VIPER Alert system with you... so YOU can experience the same kind of life-changing results I’ve shown these people. 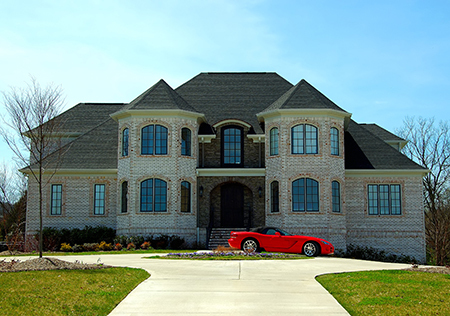 My VIPER Alert system can help protect you from potential disasters. So what happens if the market implodes? And after eight years of a bull market, it’s understandable that people would be cautious. And that’s another reason I love the VIPER Alert system. Historical tests show it would’ve “predicted” every single bear market from the dot-com crash... to the 2008 collapse... to the 2011 mini-correction. And it does so by becoming much more selective when stocks get expensive. In 2008, before the Great Recession set in, there were only two good V Scores my VIPER Alert system would’ve targeted. So the system essentially warned me to remain cautious. Amidst a market full of turmoil, we were protected. I’m finally ready to share this timely opportunity with as many people who will listen. Starting with YOU, right now. I’ll send you this report... for FREE... for simply giving my VIPER Alert research service an honest look today. In short, my VIPER Alert is the only service in the world that targets companies poised for remarkable growth due to their V Scores. In testing, this indicator has been so accurate, it’s uncanny. Last year, HealthEquity Inc. had a 75.3 V Score. It went up 73.2%. CEVA Inc. had a V Score of 83.6. It went up 101%. Steel Dynamics had an 85.2 V Score. It shot up 129%. 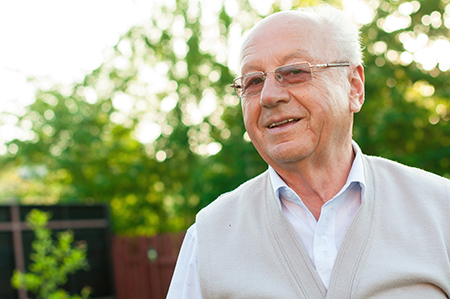 BioMarin Pharmaceutical once had a 91.25 V Score. Alaska Air had a 92.36 V Score a few years back. And Celgene had a fantastic 93.75 V Score. This special play exploded an incredible 4,797%! 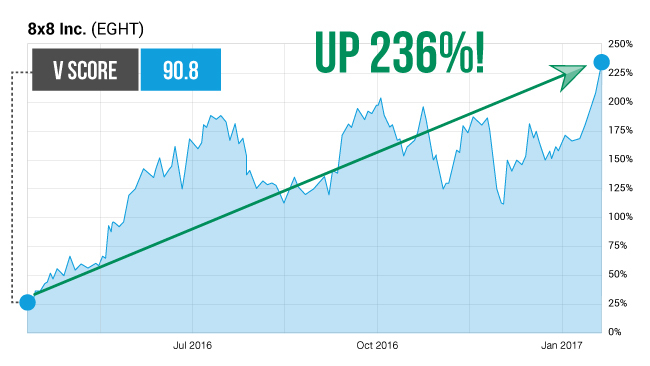 I’m talking recent gains as high as 236%... 324%... 379%... and an extraordinary 555%. There were more than a half-dozen other triple-digit winners in the first full year. 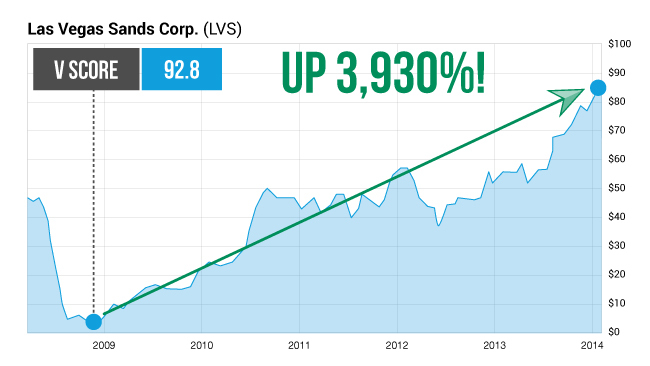 But now, I’m targeting stocks with V Scores even higher... and one whose V Score – a 99.39 – is the best I’ve ever seen. I believe that single play alone could set a new Oxford Club record with a 4,055% gain... and turn $10K into more than $415,500 by this time next year. With my VIPER Alert research service, I often pick one to three top plays each and every month based on the strongest V Scores I’m seeing across the markets. You can expect to see between 12 and 36 profit-loaded opportunities throughout the year... including my goal of a triple-digit winner every single month. 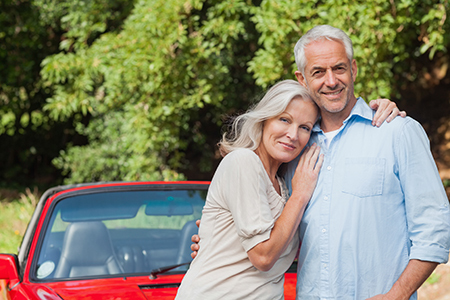 Now imagine what ONE triple-digit winner every single month could do for you. Let’s take a handful of the recent winners I recommended. We’re going to start with just $1,000... then roll the winnings over from each play to the next. I would never recommend you take all winnings and do this... We’re not undisciplined gamblers here. But I just want to show you the potential of a monthly triple-digit winner over the course of your first seven months. 107% on SPS Commerce: $706,608 turns into $1,462,678. Please note that I have to conceal the names of the companies. It wouldn’t be fair to my subscribers to reveal them. 93.2 V Score with a 638% gain projection. Let me tell you, with V Scoresthis attractive... it’s a very strong sign that certain stocks like these are going to do very well. And with big potential winners on the horizon, I believe NOW is the perfect time to open the doors again to my VIPER Alert service. But it’s not often we bring in a new round of subscribers. We only did this three times in 2016. And on each special occasion we do open the doors, it’s only for a two-week period. Now, I can’t say for sure how long we’ll leave this opportunity on your plate. There’s simply no way for me to tell when exactly you’re viewing this video. That’s why I urge you to “get in” before we close the doors on today’s invitation. 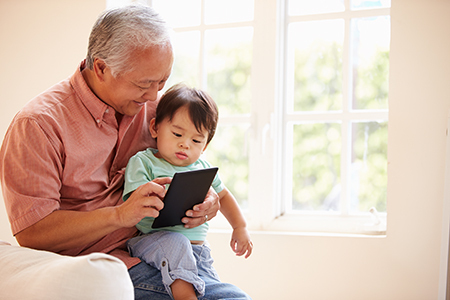 This report will get you on the path to the retirement of your dreams. And as much as $627,500 if you choose to act on all three trades inside the report! At times you’ll see gains you’ve never imagined, let alone experienced in your life. Can you imagine seeing a 1,889% winner sitting in your account? Or posting a 2,733% home run like the record-setting recommendations I’ve made in the past? Now imagine seeing a historic 4,055% moonshot. It’ll be a watershed moment for you and all of us here at The Oxford Club. With my VIPER Alert service, those are the sorts of blockbuster gains you’re putting yourself in position to capture. But don’t take it from me... My readers say they’re making money hand over fist! And get this... his supercar shares the same name as my investment system! Now THAT’S a whole new level of dedication to my VIPER Alert! 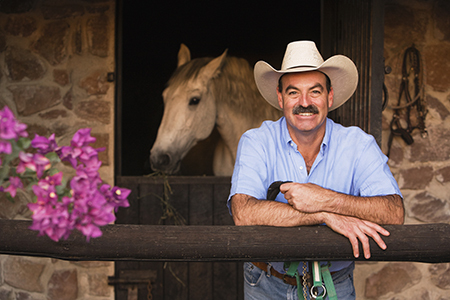 Not long after you get started, I believe you’ll share the same passion Tim feels for my service. Any negative experience you have in the investing world will end the minute you join my VIPER Alert service. My research is 100% unbiased. I don’t answer to advertisers. In fact, I’m in NOBODY’S pocket. 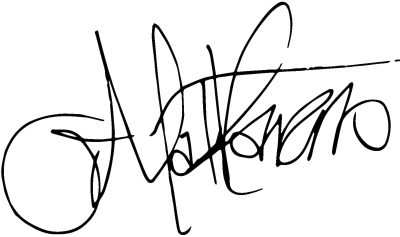 My sole purpose is to help YOU take control of your money... and make it grow. My unconventional approach to beating the market has been proven repeatedly. 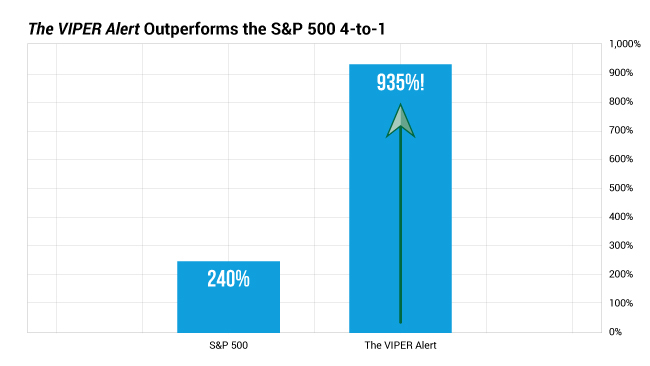 Extensive back tests show my VIPER Alert system would have handed you 935% gains... as opposed to the S&P’s 240%. That’s a complete outperformance of the most popular benchmark index in the world. You’ve seen the incredible profits my strategy can lead you toward... and the potential coming gains of 820%... 1,400%... and an extraordinary 4,055%. You’ve also seen how my V Score helps you avoid the losers that can destroy your portfolio. And simply try something different. And the rare opportunity to see an Oxford Club record. I’m going to live up to that promise. I’ll be in touch with you each and every week. With The VIPER Alert, I personally send you emails telling you what to buy, when to buy, and at what price to buy. Plus, I’ll tell you how much we’re expecting to make. I’ll also email you when it’s time to collect max profits and move on to the next great opportunity. At most, it takes only a couple of minutes to check your email and then choose to act on my profitable instructions. I’m also going to give you premier access to our Members-only website. There you can watch my short welcome video to get yourself even more comfortable with The VIPER Alert. At the 2:13 mark of my welcome video, you’ll get information on what stocks to buy right now. I’ll also provide a separate “what to expect” walk-through video for you. Meaning you’ll never miss out on the next potential record-breaker! Bottom line... I’ve got you covered every step of the way. But again, this is a limited-time offer to join. We’re allowing in only 250 new subscribers today. I refuse to water down the investment opportunities. So I can only guarantee the first 250 spots today. And with potential gains of 820%... and 1,400%... and a possible 4,055% record-breaker on the line, it should come as no surprise that my VIPER Alert service isn’t cheap. This service is intended for people who are serious about taking control of their own investments. I’ll be straightforward and make you what I consider to be a very fair offer. The retail price for The VIPER Alert is $4,000. Marty Gaulman wrote to say he’s “up in everything”that I’ve recommended. James Cardon just took home a 272% winner. “Most I have ever earned,” he said. That means if Mr. Cardon invested just $5,000 in that play, he would have immediately knocked out the subscription fee and STILL walked away with $8,600 in additional profit! Plus, I’m so confident you’re going to love my VIPER Alert that I’m willing to put my money where my mouth is and guarantee your 100% satisfaction. It comes in three parts. I’m so sure of the coming 4,055% record-breaker that I’m guaranteeing you’ll set this Oxford Club record within your first year of service. Readers of The VIPER Alert have recently enjoyed gains of 236%... 324%... 379%... and even 555%. That’s right. I guarantee it’ll be possible for you to collect 4,055% on this single play just a few months from now. I’ve told you about how this company answers a resounding “YES” to all five of the VIPER value questions. I’ve shown you its 99.39 V Score, the best V Score I’ve ever seen. Simply put, this company is perfectly set up to deliver what I’m promising. And if by this time next year, our track record doesn’t show 4,055% or more on the special play I recommend, I will continue working for you for an additional year, completely FREE. Just give us a quick call and we’ll add an additional year to your subscription at NO CHARGE (a $4,000 value). But that’s only the first part of my guarantee. You’ve already seen the kind of money you can make with my strategy. I’ve shown you how my readers had the chance to collect a dozen triple-digit winners since the start of 2016, including partial plays. These numbers are truly staggering when you think about it. And considering the great V Scores I’m seeing in the market, I feel extremely confident guaranteeing that you could collect a triple-digit winner every single month for the next year. Our track record will prove it. But if you don’t see that chance, just give us a call and again, I’ll continue working for you for an additional year at no charge. Your 100% Satisfaction – ALL YEAR LONG! I’m giving you a full year to try my highly acclaimed VIPER Alert service – at MY risk. And really get a full taste of what The VIPER Alert is all about. But if you aren’t satisfied – for any reason – just give us a call and we’ll give you the chance to move over to another Oxford Club service more suited to your needs. 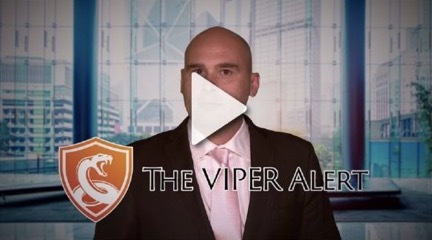 In any case, I’m fully confident you’ll remember this very moment – as you sign up for The VIPER Alert – as perhaps the greatest financial decision you ever made. And I want you to be 100% satisfied. So make sure you’re one of the first 250 people to respond today. Honestly, I can’t imagine anyone being unsatisfied after seeing how powerful my VIPER Alert strategy is. “Best-performing stocks in my portfolio,” said another subscriber. “I make a killing,” said another. So if you’re ready to start collecting the kind of money you’ve always deserved, it’s important you get started right away. The first step YOU need to take is to click the “SUBSCRIBE NOW” button below. It’ll take you to a secure page where you’ll be able to review everything before making your final decision to subscribe to The VIPER Alert. You’ll receive it in your inbox within the next hour. You’ll have everything you need to start your quest of collecting a 820% gain... a 1,400% gain... and a record-setting 4,055% gain. With $10K in each, that’s enough to collect $627,500 in pure profit! And don’t forget, your satisfaction is guaranteed in The VIPER Alert. But allow me to ask something of you. Please check in with me after your first blockbuster win. Nothing gives me more satisfaction than hearing the success stories of my VIPER Alert subscribers. Thank you for your time today. I look forward to hearing from you. P.S. If you prefer to speak to someone over the phone about this offer, you can feel free to call our VIP Trading Services Team at 888.570.9830 or 443.353.4537. Our friendly and knowledgeable staff will be standing by from 8 a.m. to 7 p.m. to take your call. They often answer calls in 20 seconds or less.